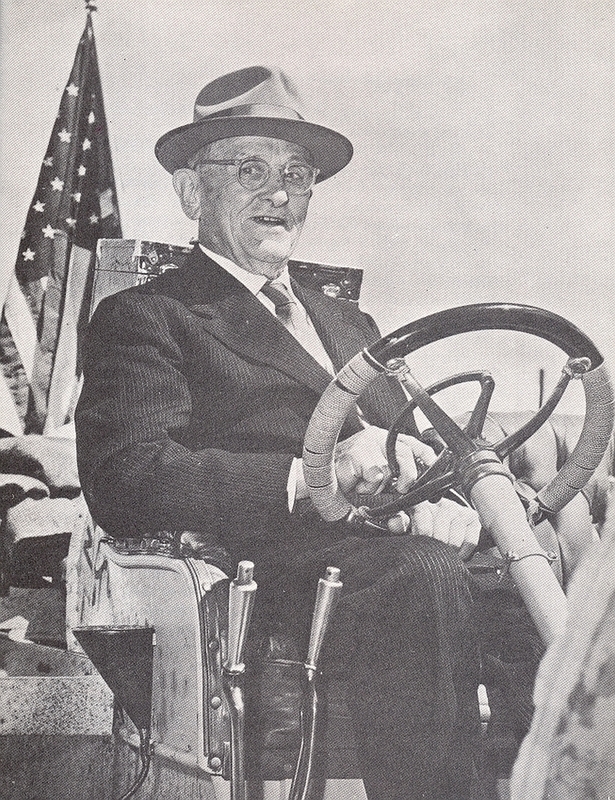 After reading an article in READERS DIGEST, William Harrah founder of the National Automobile Museum in Reno, NV purchased what was left of the Thomas Flyer. With George Schuster in 1964, they carefully examine the Thomas. By dismantling the Thomas, George was able to authenticate the car. 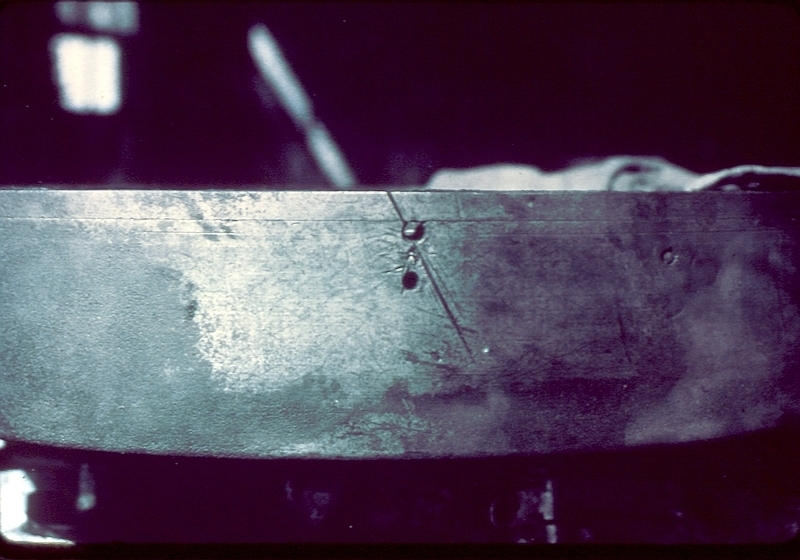 A cracked frame in Siberia was resourcefully repaired by him with boiler plate from a steam locomotive on the frozen tundra. 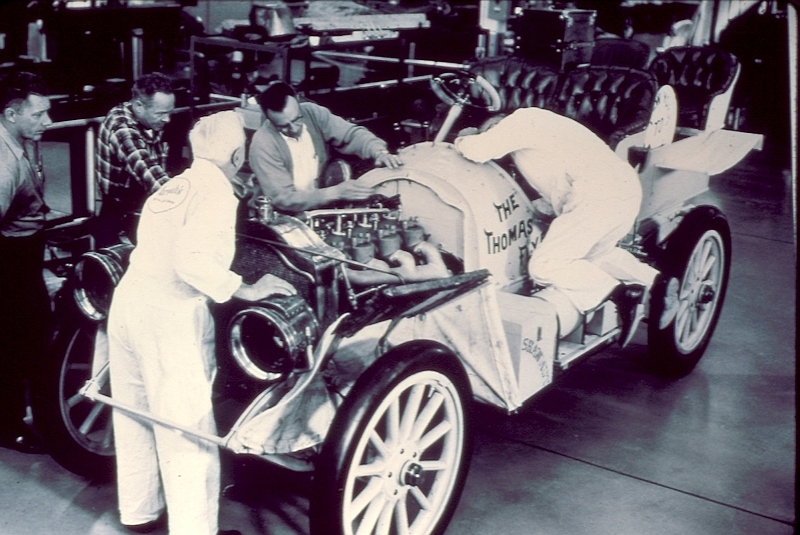 Meticulous research and work brought the Thomas back to the exact condition it was in entering the city of Paris 1908! Even a carbide headlight lens cracked outside of Moscow was recreated. The Flyer now looks quite at home on the open frontier. 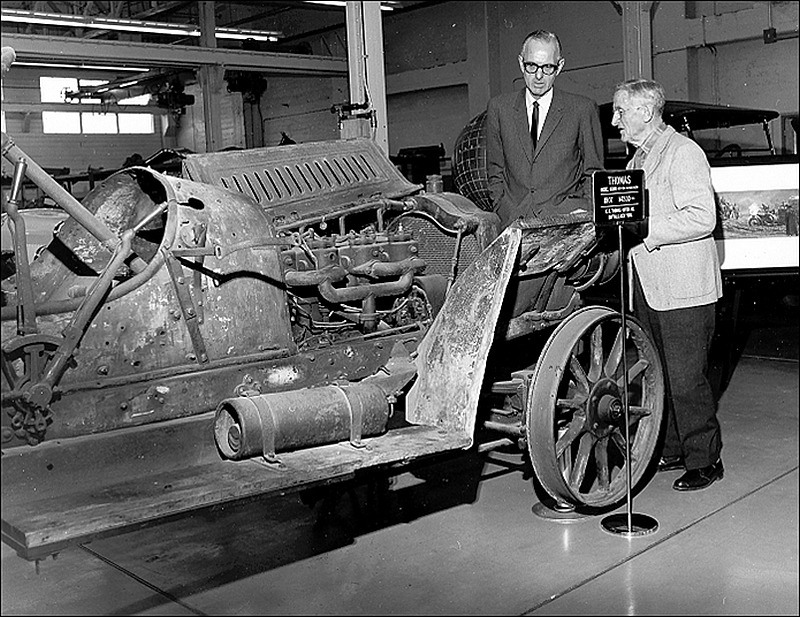 Shortly after completion, the car was driven from Sparks to Tonopah, NV by George, over some of the same route used in the 1908 Race. George recounting the saga with his Great-Grandchildren Matt, Jeff, and Jennifer. 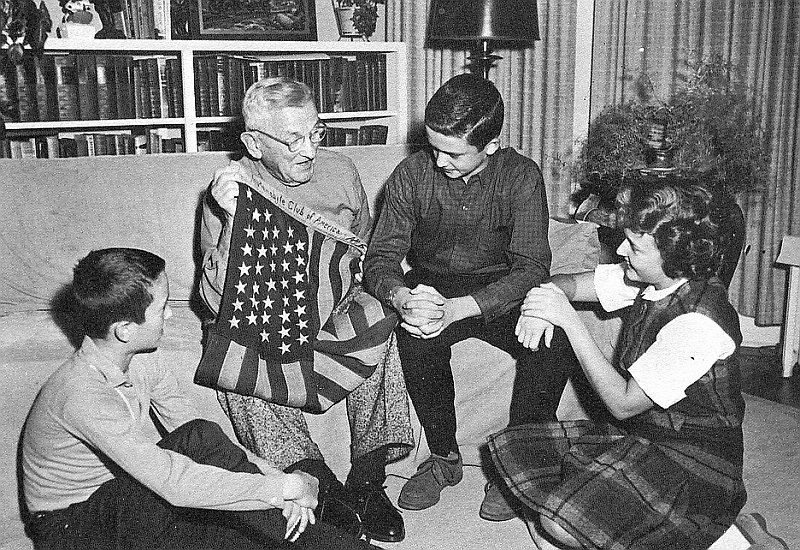 He's holding the US Flag which flew start and finish of the Great Race from the Thomas. The adventure continues to live on! George Schuster Sr., at the age of 92 still with a drivers license, behind the familiar wheel of the Thomas Flyer. By 1964 (56 years after his victory in Paris), he had seen the world transform it's primary means of transportation from horses to millions of automobiles. 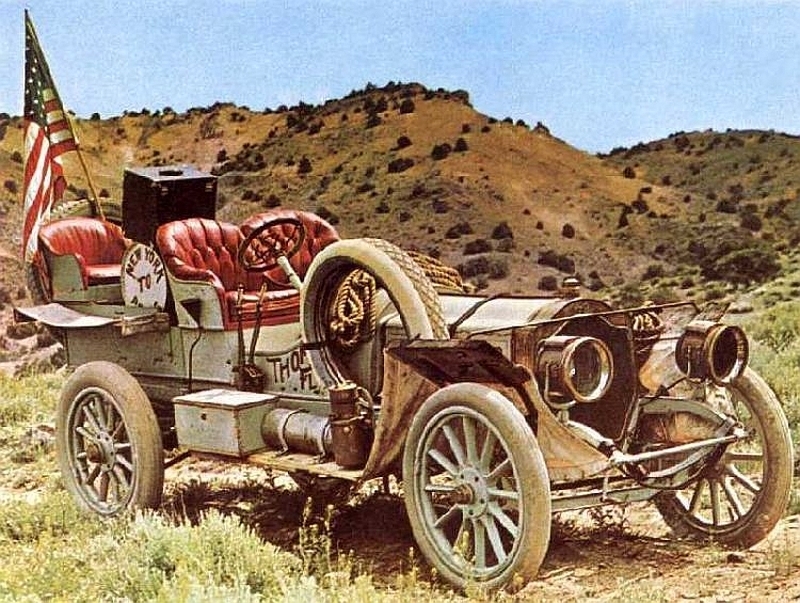 The Great Auto Race of 1908 was certainly the start of a new Era in worldwide transportation.